Glass Nation has the best ash catchers online. If you are looking to keep your bong or dab rig cleaner an ash catcher is just the thing for you. Add an extra layer of filtration to your bong for an even smoother hit. Ash catchers fit into the downstem of a glass bong or silicone bong and provide and extra layer of filtration for the bong. Furthermore, this will cool the smoke down more than the bong would normally. This produces cooler smoother hits from the bong. Don’t settle for anything but the best when it comes to your smoking accessories. 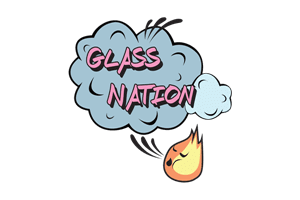 Glass Nation has all the best smoking accessories to make sure your smoking experience is nothing but the best.